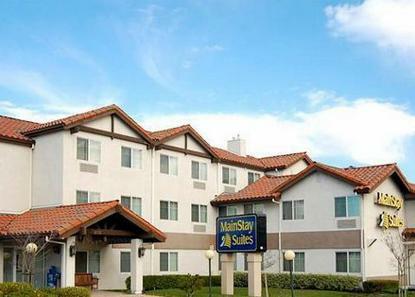 Mainstay Suites of Hayward, California is an extended stay facility located in the heart of the Bay area. All rooms feature a fully equipped kitchenette and 70-channel cable T.V. with HBO and Showtime included. FREE Deluxe Continental Breakfast. FREE DSL in selected rooms, an outdoor pool and coin-op laundry. Located in the center of the Hayward Business District and just minutes south of Oakland International Airport.